CurlyNikki Appears on the Tyra Banks Show!!!! Thanks to Mae, if you missed it, you can check it below! Now, who knows if it's possible (and the process) to take the dvr clip and put it on Youtube for those that missed it? If you've got the know how, shoot me an email! UPDATE 1/31/2010: The show will air on February 5th at 4pm EST. My mini segment is toward the end of the show. DVR it! This afternoon I appeared on the Tyra Banks show!!! I literally hit the floor when she shared that she visits and loves CurlyNikki.com! The show was not about curly or natural hair...but they tied me in at the end! I was a nervous wreck for the past few days, but today, surprisingly, I was eerily calm. I was given the chance to tell (the short version, lol) my story, pub the blog, and she then introduced me as the newest edition to her website, Tyrashow.com! It was surreal...but an absolutely friggin' wonderful experience! I of course, did my own hair(Twist-n-Curl), and the makeup artist respected my wishes to keep my face as natural as possible. I'm not a makeup person, so I was freaking out when 30 minutes had passed and we were not finished! She was really sweet, super professional, and did a wonderful job! I just got home an hour ago, and I'm still wearing the 'mandatory' false lashes, and have no idea how to remove them...I'll be googling that tonight! Tyra is even more beautiful in person...inside and out. Her wardrobe, hair, and make-up staff were fabulous! 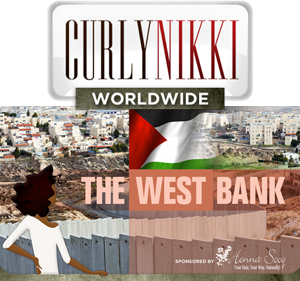 Thanks to all of my lovely curly readers for your support...she received and loved your emails about CurlyNikki.com, and I'm certain it played a part in helping me get on the show!!!! As soon as they give me the air date, y'all will be the first to know! The Tyra Banks Show airs Weekdays from 3 to 5PM EST on The CW. *Jumps in excitement* Congrats Nikki! Can't wait to see the show. Hi Nikki, I'm so proud of you. I can't wait to see the show. I have told everybody who is natural or is thinking about going natural about your blog in Kansas City. Keep up the good work. Your website is the BOMB! Yay! I'm so happy for you! It makes me all the more proud to be apart of your 'baby!' Girl, this is the start of something big, I just know it! so proud of you!!! i'm so happy the world (not just the curlies)gets to see your passion. you're the best sister ever. can't wait to see you next week! love you!!! That is so great... Can't wait to see the show. When will it air? together. It doesnt get any better than that. like this, enjoy and have fun. I'll be watching. Fabulous news!! I can't wait to see! So proud of you!!! Can't wait to see it. You are truly a great representative for natural beauty. Congrats Nikki, the make up looks beautiful on ya--Can't wait to see the show! 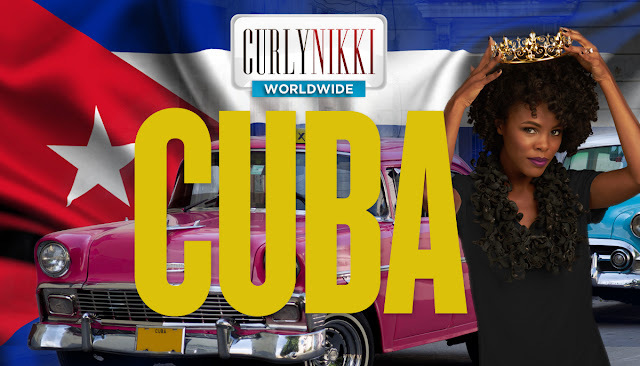 congrat Curlynikki!!! I am very happy for you...keep letting everything in you shine. So cool!! Congrats! I cannot wait to see it. You look gorgeous! Your hair looks great. congrats it's good to know we have a real platform in mainstream America. OH.MY.GAWD! Congratulations Nikki!!!!!! I'm so happy for you! WOW congrats girlie! That's SUPERCOOL!!! Keep doin' the damn thang!!! You and your website are soaring. You deserve it...you deserve it. Yaaaaayyyy!!! When I was writing my request letter, I just knew you were going to be on the show. Go Nikki! Go Nikki! Whoop. Whoop. OMG! Nikki!! I'm so happy for you! WOW! You kept that quiet huh? lol Keep us posted, I can't wait to watch you on the TIZUBE !! You are doing it girl, you are such a blessing to all of us! fabulous! curlies and kinkies of the world UNITE!!! Congrats!! I'm happy for you. Nikki, You really deserve it!!! I began following you after the Natural Hair Show in Atlanta this year. Your blogs are always so helpful and supportive!!! You have made it possible for me to rock and be proud of my hair at any length. Congratulations!!! You go, CN!! I'm so happy for you! You've worked hard for this and so deserve it. Can't wait to see you on Tyra's show. i am not a watcher of this show and they HAD BETTER do you justice and not overly edit your portion of the show. keep up the great work Nikki - you are such an advocate of working with what you have and sharing your tips, reviews, etc for us! Just goes to show - if you build it they will come! Congratulations girlie!!! Time to up your bandwidth, cause this site is gonna get bumrushed! WOW!!! That is soooooo exciting! Congrats! I can't wait to see it! Your hair and make-up look great! That is awesome! I am so happy about this. I think it is great and will definitely increase your audience and just might inspire some women to go natural. Congratulations!!! I'm really excited for you. It's great when someone creates something for others and in turn gets blessed. Thank you. THIS IS SOOOOOOOO AWESOME! IM PROUD OF YOU HON! I CNT STOP GRINNING! omg! that is amazing! i'm so proud of you!!!!!!!!!!!!!! go nikki!!! Yay Nikki!!!!! So proud of you lady!! Yay for natural hair in the media! Wow That is so awesome Curly Nikki! I can't wait to see it! i am excited to hear about this as well! i can understand about the natural make-up thing. when I doing the model thing in nyc, a make-up artist told me it actually takes much longer to make the "natural" look with make-up than with anything else. I was in that chair forever too. lol. congrats. when is the show going to air? Congratufreakinglations!!! You deserve it for your amazing efforts. I am proud of you! So um, did you meet B. Scott? Was this a show about famous Black internet personalities? I will def. be tuning in-Congrats!! 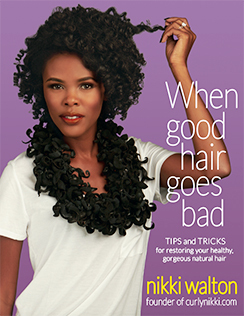 What a great way to put natural hair on the forefront! wow! Congratulations! I will definitely check out the clip when it comes out. Thanks for representing us curlies in the mainstream. For some reason I am not surprised, it seemed that this would happen sooner or later for you. Your website is so informative and helpful to so many people. Keep up the good work! congrats nikki... can I get your autograph? Woohoo! I'm so excited for you! This is great! Hooray! Congrats Nikki! AWESOME!!! and congrats 1000xs over!!! Nikki! OMG! Congratulations. I couldn't think of a better spokesperson to represent the natural community! It's cool to see all your hard work and crusading pay off in a really big way isn't it? This is awesome Nikki! Congrats, girl - you deserve it. OMG, I knew you'd be on the show!!!! Believe it or not. This has made my day!!!!! That is sooooo wonderful for you!!!!!! Just wanted to let you know you have fans in Europe too. And I'm working on South-America also hahahah. Bless up!! BYE!!!! Congrats Nikki! I'm sure you did a great job! I don't normally watch Tyra, but I'll keep an ear out for this episode!! OMG!!!!!!!!!!!!!!!!!!!!!!!! Yay!!! i am so happy for you! Dang girl you are blowing up! Cant wait to see this episode. One time for showing the world our beautiful natural hair! Congratulations, you really deserve to be on there. What an honor! Keep up the good work! So awesome and deserving. You will do such a great job of representing the beauty of our community. Wow, I'm so happy for you and for all the "Curly heads" out there getting support and finally some mainstream attention. You rock! I felt this would happen. I sensed that this blog would take you to another world... it is that poignant and relevant. Girlfriend, you probably won't be doing therapy too much longer.... this blog is going to be your business. Just like Dooce, both she and her husband quit their jobs to manage her blog. AMAZING! I am so excited for you, I blogged about you :)! WOW!!! Congratulations, CN. I'm very excited for you. That is so awesome!!!! Congratulations!! CONGRATS NIK......YOU OF ALL PEOPLE DESERVE IT!! Congrats! I am so excited for you. I can't wait to see the show! wow go curly nikki u rock & being on Tyra show is wonderful....I cant wait to see it!!! U deserve it your one of our hair god!! I love it! I love to see us women grow and achieve. I was just looking at some old PM's we exchanged on NC a few years ago and we both were trying to figure out what works, I'm so glad to see what you've done with all your knowledge on this journey! Congratulations! I will definitely look out for that episode. Your blog and visibility are growing by leaps and bounds. Job well done. Congratulations Nik! You deserve the shine! unfreakin' believable! Congrats Nikki! You deserve it! OMG! That's amazing Nikki! Congrats! BIG Congrats to you!! That is so awesome! You will have to post a youtube link so we can check it out!! We DID IT!!! WE DID IT!!!! CONGRATS NIKKI!I have been following your blog from the very beginning! I am so happy for you!! Congratulations Nikki! Can't wait to see it! Be sure to post the link once you get it! Congrats, Nikki!! Your pics look great! I can't wait to see the show. This is so exciting!! Awww, this is so exciting! Can't wait to see you on the show, congratulations!!! Congrats on all the success of your blog! LOVES IT! LOVES IT! LOVES IT!!!!! Wow! Congrats! The sky is the limit!!! All the best! I don't watch Tyra, but I'll definitely watch the airing of that show!!! Congratulations and you're doing a FABULOUS job, darling! Congrats! I can't wait to see it! CONGRATS, NIKKI! You truly are inspirational! I see great things happening in your future. Also, your hair looked amazing. Don't you love it when you do your hair for an event and it actually does what it's supposed to do!!! Go Nikki, Go Nikki, Go Nikki (doing the old school cabbage patch dance)!! Congratulations!! May God continue to bless you and keep you soaring to the top! That's AMAZING!!!! You do some much for us naturals and it payed very well...Congrats!!!! That's What's Up!!!!!! Yeahhhhh Nikki! Go Team Nikki!!! and "mandatory" falsies, huh? now i know why everyone's lashes always look so luscious. OMG Congrats! We can all say we knew Nikki before she blew up on Tyra LMAO! Congratulations, Nikki. You're the best! I look forward to watching the show. Wow Nikki, I don't even know you but I'm just as happy and excited for you as I would be my best friend! Congrats and blessing to ya girl! Yay! Congrats Nikki! Im going to shed a tear, im so proud of you! You deserve it! Congratulations!!! Can't wait to see the show! Congrats Nikki. You deserve it. Your blog is amazing. The best natural hair site that I have found. Wonderful news, I cannot miss checking the site so I can find out when the show will air. I look forward to seeing you via the tube. Awesome news! Congratulations Nikki! This is really exciting news! I can't wait to see the show! Congrats! I am so happy for you!! You put a lot of work and effort into this site and you deserve recognition. Thanks for all you do!! Awesome! Congrats you deserve it, I love your site. Congratulations Nikki! I'll look forward to seeing you on the show! Can't wait! OMG congrats Nikki!!!!! I'm so happy for you I got goose bumps! Girl you're going to be big spreading all the wonderful natural hair news! Oprah is next! I am soo proud of you. Keep representing us in such a wonderful way! Congrats! Congrats Nikki! I've seen the evolution in your website over the past few months and I think you are doing a great job. Keep up the good work. words cant express how happy i am for you!You give so much it just has to come back to you! Peace and blessings to you ! Congrats Nikki...im so proud of you!!! Wooohooo! Yippee! Hooray! Fabs! Cant wait to see the show. very very very cool!! congrats and I can't wait to watch the show! btw: what's even more cool is all the *love* you've gotten since you posted this!!! How freakin cool is that? OMG, I'm so happy for you. I can't wait to see the episode. Wonderful...you are the perfect ambassador for the natural community, can't wait to see the show! Congratulations!!! You definitely NEED to be showcased because this information is TOO wonderful!! The world needs what you got to offer! Kudos!!! So very proud of you!!!! YAY! I can't wait to see it, I'm sure you looked gorgeous! Did you ever think that your lil blog would put you on TV? Congrats! Congrats to you Nikki! You definitely deserve this. I can't wait to see it! #1 Fan! Wow! Congrats!!!! I don't live in the US so I hope it's uploaded on YouTube! OMG! I am soooo proud of you! Congratulations on the Tyra Show appearance and I can't wait to see it! I will definitely be watching. Whoa! CONGRATULATIONS GIRL!!!!!!!!! I DVR Tyra everyday, so I will definitely be keeping a look out for your appearance. I am so excited for you! I'm late but CONGRATULATIONS GIRL! I can't wait to see this!!!!!!!!!!!!!!!!! I am so happy you'd think I was on the doggone show! Congrats Nikki. Your hair and make-up looks fab!! You truly deserve all the success and accolades. I can't wait to see you on Tyra. I am soo happy for you. Congratulations!!!!!!! That's huge news!! I'm proud of you! SWEET.... CONGRATS!!!!!!!!!!!! I AM SO PROUD OF YOU! I just saw on the facebook Tyra Banks page about your interview of Syesha. Nikki!!! I'm so excited for you!! Congrats!!!! You are proof that wonderful things happen to wonderful people. I'm so glad that the media is taking notice of you--your CN people already knew you were a star. Keep on shining girl! Awwww....this is great chica!!! So happy for you! Where the heck have I been? Congratulations! I'm soooo happy for you. I will definately Tivo your episode. Nik, this is amazing! I am full of joy for your recognition and achievement. Congratulations -- Movin' on up! OH Nikki that is awesome! Congratulations, Girlie!! CONGRATULATIONS NIKKI! I can't wait to see the episode where you appear on Tyra's show. Also, you did a fantastic job on the article. I'm so glad that I found your web site as I make the transition to beautiful, healthy natural hair. You are such an inspiration! Keep up the good work! Congrats!!!! So happy and proud of you!!! I'll be watching. God bless you Nikki..you have been such an inspiration to so many of us. Congratulations! Congrads Nikki.... You deserve this and so much more. I have learned so much from this site. Including this one: I agree. You definitely deserve this + more!! Congrats! You deserve it. You have helped me and hundreds of others achieve our "natural" goal. Congrats Fellow Curl Girl! I will be watching, you are well deserving and I know you will do well. Congrats!!! I'm so excited for you. You're blog is phenomenal. Your passion for natural hair is grand and continues to propel you into new and exciting territory. Keep inspiring us Nikki. The sky is the limit. You and CurlyNikki.com have kept me from sneaking back to the relaxer. I will be 6 months sans relaxer on 2/6. Thanks for the inspiration, motivation and information. We just saw you!! You looked gorgeous! You popped up just when I was putting A's hair in a ponytail and she said "Look mommy, she has hair like me!" Great job Nik! Just saw you on the show. Your hair is so fabulous! I BC'd Jan 29, 2010 and just want to say I love all the advice, info, and stories you share with us through your blog. Thanks so much for being an inspiration!!! I'M WATCHING YOU ON THE SHOW RIGHT NOW!!! LOVE IT!!! I just saw the show. I had NO clue you were a psychotherapist. I am in school to become one. Wow!! I was so excited to see you on TV and to hear your voice! My husband and I watched it and we were so happy. Congratulations on your appearance. Thank you so much for your site. It has really helped me in my transition. Nikki, your hair was super fly on the show today! This is Jackie (aka CurlyTrainer). Just saw the show Nikki..you looked and sounded amazing! Congrats again! How do you get your curls so curly at the ends? Is it how you roll them on the rollers? Which ones do you use? You were absolutely radiant on the show. Your hair was amazing and what you shared about being "real" was inspiring and very well said. Congrats! Congrats Nikki, you are sooo beautiful. I was asleep on the couch, but woke up just in time to catch you ! Congratz Ms. Nikki you looked wonderful. I was very proud to see you represent curlies heads. Congrats! (I know I'm a little late :() Has anyone figured out how to post the link online yet? I'm so excited about seeing this!! Keep up the great work Nikki!! Nikki, you were so cute!!! Your hair was FABULOUS!!! Congratulations again! !